A view of the steeple at Clock Tower Place, which has gone from a woolen mill to a high tech headquarters to an office complex. Maynard residents expressed hope at a workshop last week that a new zoning proposal would revitalize the town’s Clock Tower Place commercial area, but they were also concerned about the scale of the proposed changes and their likely effect on the school system, Fire Department, and downtown businesses. The zoning changes, seen as an effort to attract new businesses and jobs, would permit apartments, bigger stores, and restaurants at Clock Tower Place, which once was the headquarters of Digital Equipment Corp. but is now a commercial complex that sits 50 percent vacant. “In general, I view the project as being a good thing for the town,’’ Ken Estabrook, a member of the School Committee and former member of the Planning Board, said at the workshop last Thursday. “I do think occupied space is important, but it’s also important to the town what it’s occupied with. “When the project was originally brought to the Planning Board, it was much smaller,’’ he said. The Planning Board is presenting the proposed zoning changes to residents this month before it decides whether to include the Clock Tower proposals in a group of bylaw revisions on the warrant for Special Town Meeting on Oct. 26. The board has scheduled a hearing for next Thursday that will include a discussion of all of the proposed zoning changes. Also at the hearing, to convene at 7 p.m. in Town Hall, consultants hired by the town with money provided by the owners of Clock Tower Place will present a report on traffic and economic impact studies on the changes to the commercial area. 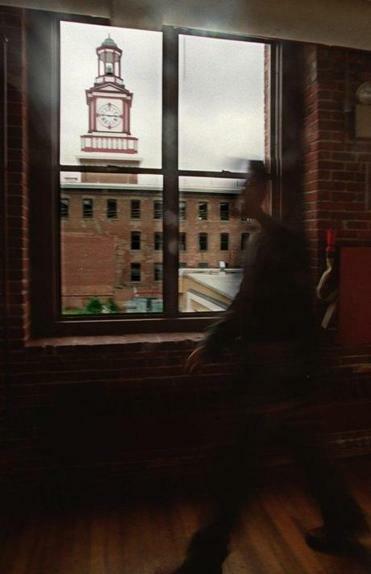 Supporters of the Clock Tower Place changes see the zoning revisions as possibly leading to new businesses, such as a brewery pub and health food store, and bringing new life to the historic property, built in the 1800s as part of the town’s woolen mill industry. Sarah Cressy, president of the Assabet Valley Chamber of Commerce, sees the potential changes as a good thing for the town. Clock Tower Place, which is off Main Street, now has commercial offices, a full-service cafeteria, a bank, a day-care facility, and a gym, as well as a few other amenities for businesses and employees. It also is home to the town’s Council on Aging and Senior Center. The proposed changes would likely appeal to young professionals, who enjoy the simplicity of life revolving around their work, and make Clock Tower companies more competitive in attracting new hires, Sullivan said. “We think having that population, which has a higher expendable income, would have a residual, ripple effect downtown,’’ said Sullivan. In July, Clock Tower Place’s parent company, Wellesley/Rosewood Maynard Mills LP, approached the Planning Board and selectmen about trouble it was having filling office space. The town was in the middle of revising its bylaws, with the help of Town Counsel Mark Bobrowski, to make them more understandable to new businesses coming to town. The officials decided that it made sense for Wellesley/Rosewood “to come in and work with us to coordinate with our new bylaw changes,’’ Sullivan said. The company contributed $20,000 to help the town hire outside consultants to conduct traffic and economic impact studies to evaluate the effect of the proposed zoning changes. The workshop last week, held in Clock Tower Place’s Clock Works Café, included presentations by Joe Mullin, public affairs director of Clock Tower Place, and Bobrowski. About 15 residents attended the workshop and were given the chance to ask questions after presentations were made. Estabrook said the proposed changes, including the addition of housing units, needed a thorough review. Mullin addressed Estabrook’s concern about schools. Lifelong resident Vic Tomyl also expressed concern. Tomyl went on to ask about parking space limitations. Tomyl said he knew that one Clock Tower tenant bought a lot across the street from the complex to create additional needed parking spaces for employees. But Mullin said parking would not be a problem. Jack MacKeen, chairman of the town’s Historical Commission, said he sees the overall plan as being good for Maynard but had questions about the details of the proposed changes. Planning Board chairman Greg Price said he expects the panel will decide whether the proposed changes should be moved forward for a vote at Town Meeting after next Thursday’s hearing. “We’re still in fact-finding mode,’’ said Price in a phone interview.